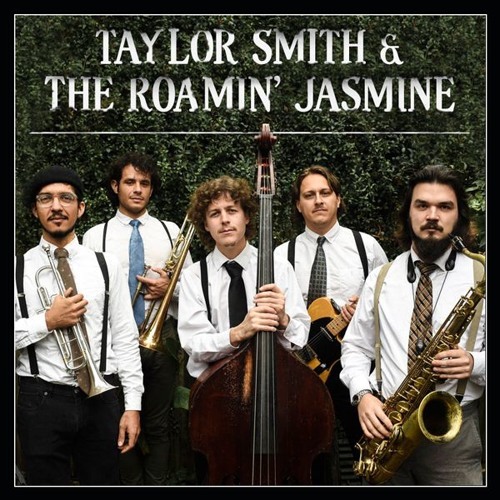 TAYLOR SMITH & THE ROAMIN' JASMINE X-SERIES / EXTREME MUSIC Listen, Download, & License TAYLOR SMITH & THE ROAMIN' JASMINE here: https://www.extrememusic.com/albums/3202 More from X-SERIES on Extreme Music: https://www.extrememusic.com/labels/1 Available to license exclusively at Extreme Music. ---------- Get more from Extreme Music: www.extrememusic.com/ Follow Extreme Music on: Facebook: bit.ly/Extreme_Music_on_Facebook Instagram: bit.ly/Extreme_Music_on_Instagram LinkedIn: bit.ly/Extreme_Music_on_LinkedIn Twitter: bit.ly/Extreme_Music_on_Twitter Spotify: bit.ly/Extreme_Music_on_Spotify Extreme Music is renowned as production music’s gold standard and a trusted tastemaker to the media industry since 1997. Our extraordinary roster and tireless pursuit for authenticity attracts discerning users and brands that understand that when you cast an Extreme track you are choosing music that has been lovingly hand-stitched by world-renowned maestros and producers. Our catalog boasts titans of talent such as Quincy Jones, Hans Zimmer, Sir George Martin, Snoop Dogg, Atticus Ross, Labrinth, Rodney Jerkins, Ramin Djawadi, Clint Mansell, Harry Gregson-Williams, Christopher Lennertz, Sasha, John Digweed, Michael Giacchino, Timbaland, Amon Tobin, John Powell, James S. Levine, Xzibit, Blues Saraceno, Junkie XL and DJ Shadow.